Sustainable Spectra? Like healthy cigarettes? 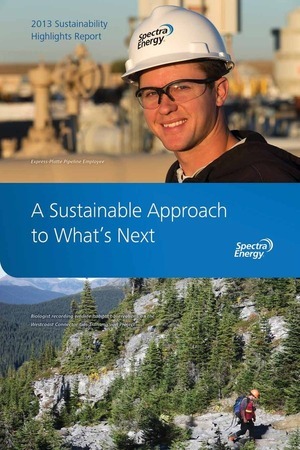 What company prints its sustainability report on wind-powered paper, yet pipes a greenhouse gas 20 times worse than CO2? Yep, it’s Spectra Energy, also bragging about how respectful they are to Sabal Trail “stakeholders”. Selling fracked methane through a 36-inch pipe in a hundred-foot gash through forests and wetlands with a thousand-foot explosive radius is like selling cigarettes and claiming you’re for good health. Tobacco companies can’t get away with that any more, and why should fossil fuel companies? This paper is manufactured using clean, renewable wind-power energy and carbon offsets for additional savings. That’s the only mention of wind or renewable energy in the document, while solar power is not mentioned even once.